This article is about the TCG Booster Pack. 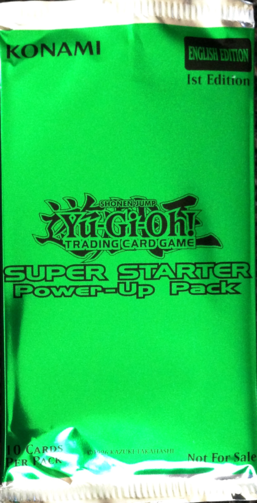 For the OCG Booster Pack, see Starter Deck 2013 Enhancement Pack. Super Starter Power-Up Pack is a Power-Up Pack for Super Starter: V for Victory. Each Super Starter: V for Victory contains 2 Power-Up Packs. In the European versions, each Super Starter: V for Victory contains 1 Power-Up Pack, but it contains 10 cards instead of 5. This page was last edited on 18 May 2017, at 05:32.